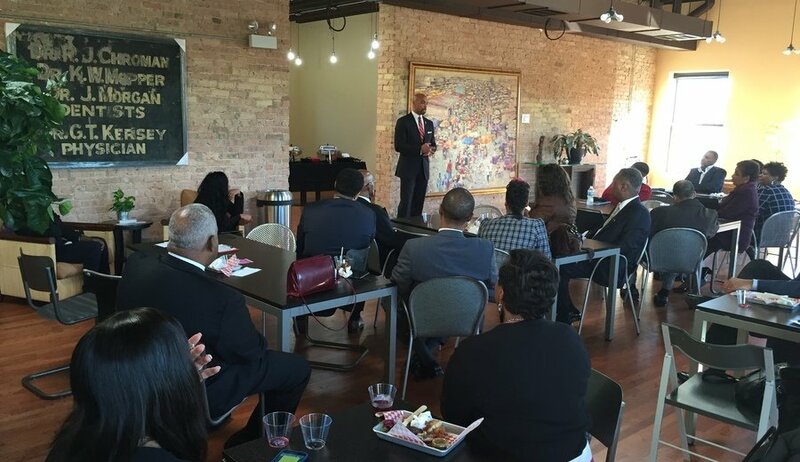 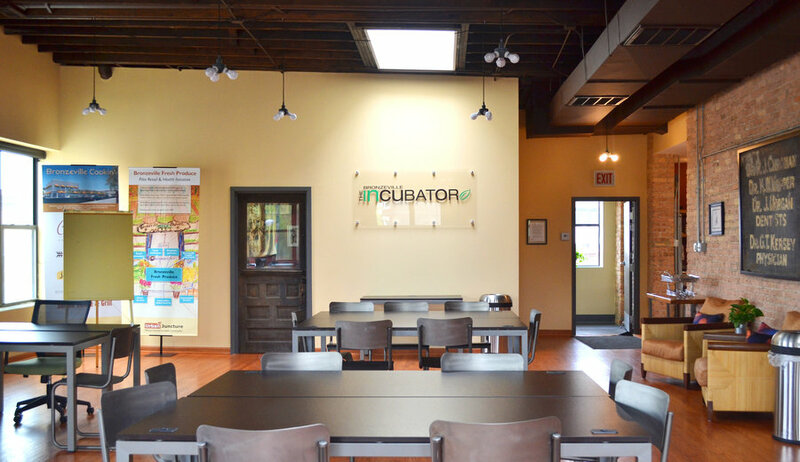 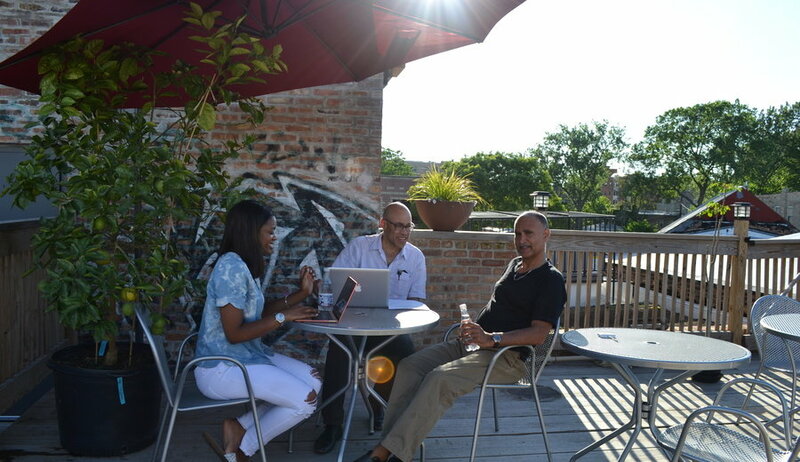 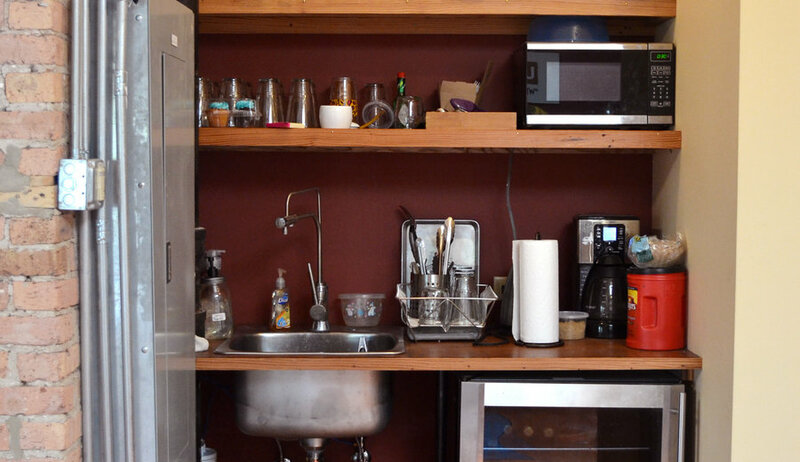 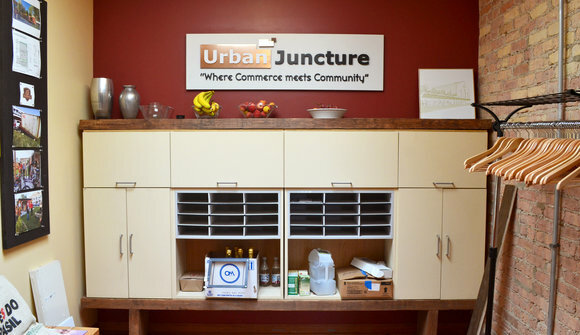 The Bronzeville Incubator offers first-class co-working and event spaces for individuals and teams seeking to establish, operate, or support local enterprises. It brings together leading civic and business leaders with younger professionals and creatives committed to rebuilding the economic foundations of urban communities. With over 3000 square feet of light-filled, disabled-accessible space on the second floor of a sustainably rehabilitated 100-year-old building, the incubator’s location adjacent to the 51st Street CTA Green Line in the heart of historic Bronzeville provides easy access to the Loop, the Lake, and the Dan Ryan. The Incubator is part of the Bronzeville Cookin' initiative, which is bringing cuisine, culture, and community back to 51st Street and also includes nearby community garden and bicycling initiatives, a unique rooftop deck, and the Bronzeville Jerk Shack (with more restaurants to come).